McKeown Motor SalesRecord Owner? Log in. From Stirling, drive 15 km. north on Hwy 14 to Spring Brook. From Hwy 7, drive 12 km. south to Sping Brook. Watch for sign. Monday - Thursday 8am - 9 pm. Friday 8am - 6 pm. Saturday 8am - 4 pm. 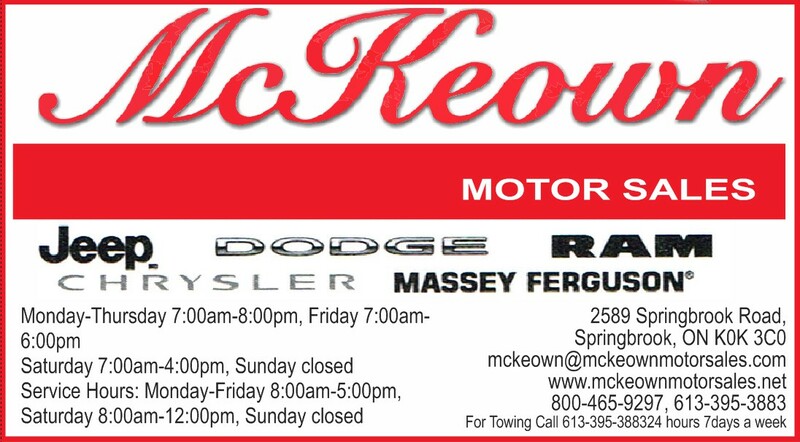 Have something to say about McKeown Motor Sales?